Having taken over some states from the ruling APC in the recently concluded 2019 elections, it was gathered that PDP still feels it can’t do better without having the office of the Deputy Senate President in the 9th Assembly, which some believe will also help them to give full opposition to the ruling APC, if their efforts to claim the presidential election fails at the court. 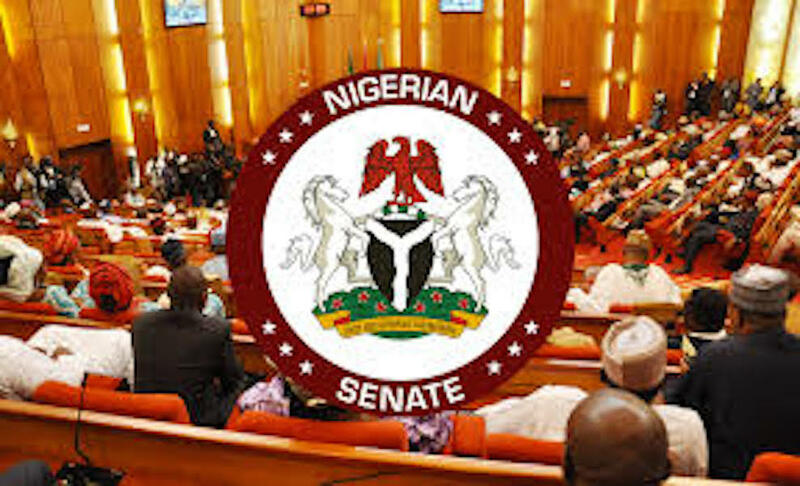 Some of the PDP Senators-elect, it was gathered, are also exploring another option that if the APC fails to put its house in order with Senators Danjuma Goje, Ahmed Lawan and Ali Ndume dividing the majority votes of the APC, they would nominate a candidate in the chamber and give such a person a block votes to emerge as the Senate President. “If Lawan, Goje and Ndume go to the floor of the Senate as contestants, they will have more enemies within their party. It will be good for them to allow one or two person to stand for the contest,” a Senator-elect from the opposition PDP said. “But PDP could also be a decider if Goje and Ndume could not pull some Senators to their sides. Goje may not come out on the floor because he is banking on some PDP members,” the Senator who don’t want his name mentioned revealed. “Politics is a game. If you ask us to flow with these people, what will be our gain? Another Senator elect from the PDP opined. The lawmaker, who chided his colleagues from the PDP eyeing the Deputy Senate President slot, said even the position of the Senate Minority Leader will be decided by the party leadership. “If you say you’ve been in the chamber for several times, what role did you play in the last elections for our party? It is the party that will nominate,” he said, adding that his party has come to terms with the reality that even as they are not in government, they could win more states in the last elections. He further opined that the leadership will be smooth if APC takes the leadership of the Senate clinching thr Senate president, deputy Senate president and the majority leader of the Senate. “If the opposition gets the minority leader without the office of the deputy Senate president, it will help them to give the leadership a strong opposition. Some ruling party Senators might be meeting providing tacit information that will help in putting the leadership to check. If the opposition party cannot express itself because of a certain office, it will be detrimental to them. So, the most important thing is for the PDP to support a candidate from the APC. The high ranking members in the PDP can function well if they are not holding serious principal office,” a political analyst, Hosea Sambo said. “Most of these lawmakers are always interested in their personal gains. That is what they always consider in scrutinising issues if it involves them. “If it’s about the poor masses, they don’t take it seriously. So, it is not hard for any serious Nigerian to guess rightly and correctly that their struggles, tussle and alignment is all about their personal interests. It’s all about personal aggrandizement,” a social commentator, Alex Kwasu said. However, Kwasu added that if the present intrigues is something to go by, Senator Ahmed Lawan might likely carry the day. Also, some Senators are of the opinion that Senator Kabiru Gaya’s (APC, Kano South) interest to emerge as the deputy Senate president is not realistic, as according to them, it’s all a game plan to ensure that Lawan did not lose out in the contest for the Senate president. APC national chairman, Comrade Adams Oshiomhole had earlier said that the South-South might get the office of the Deputy Senate president. That assertion might be detrimental to Senator Gaya’s interest from the North-west and might favour Senator Ovie Omo-Agege (APC, Delta Central) who had also declared his intention to contest for the of the deputy Senate president. However, both Omo-agege and Gaya are rooting for Lawan for the office of the Senate President. “Lawan will emerge but he still has to do a lot of work to bring the people together and assure them he is not going to be the stooge of President Muhammadu Buhari. Otheriwise, he will be impeached,” another Senator-elect said. Some members of the APC are also concerned about the way and manner the party leadership ignored their advices concerning the National Assembly politics. Apolitical analyst, Mock Samuel Kure, while reacting to the development, said he sees Lawan and Goje slugging it out with Ndume being at a far distance. “Senator Goje is the greatest threat to APC’s quest to install their ‘yes man’ as the Senate President. For him to have been made the Appropriation Committee chairman, you don’t need a soothsayer to tell you that he played a critical role in the emergence of Bukola Saraki as the President of the Senate in the 8th Assembly. One good turn, they say, deserves another. This is the time Saraki would pay him back by rallying his men in the Senate to support his aspiration,” Kure said. “Most former governors that served the same time with Goje and the new ones whether in APC or PDP would naturally support him,” Kure said of Goje’s chances. He said the APC need not be scared of Senator Ndume’s rabble-rousing, adding that the party should rather be wary of Goje. “When we were in the other party, we contributed money to assist contestants. Did he do that? Here he is telling them they must obey him. Obedience is reciprocal. You can’t appoint people to lead the Senate and the House. It’s a problem in the APC and that problem will continue to happen because the party is not doing the right thing. “Oshiomhole is only interested on his interest. See what we faced in Rivers, Zamfara, Cross Rivers and the rest of the states? He keep making too many errors that are bad for the party,” Ka’oje added. According to him, “The party chairman is claiming he knows everything. No one wants to consult people like us. Yes, we won election but it was a fierce contest. The PDP takes some states belonging to us. I’ve been to the APC chairman’s house more than five times. I left my card but he never look for me. They don’t care about the advise we offer even in the pages of the newspaper and that could be detrimental in the national assembly elections,” Ka’oje added. But the pioneer APC national vice chairman in charge of North-East, Dr. Umar Duhu, said both Ndume and Lawan are from the same bloc of the defunct All Nigeria Peoples Party (ANPP) who are both qualified to occupy the seat of the chairman of the national assembly. Duhu, who is not happy with the way and manner the party leadership is treating some of its members, said there is no way the party can take hold of its members when it did not play a greater role in ensuring their election. “You do not also expect an elected Senator of the Federal Republic of Nigeria who paid through his nose to be candidate of the party and spent heavily to get elected to easily chicken in to obey a party whose leadership talks from both sides of their mouths. I do not see any directive handed over to the elected legislators working, rather, the party must go begging and apologising to Nigerians for must of their lapses to get the party working again,” Duhu said. “Unless the APC as a party, purges itself of disloyal and self-seeking members that shamelessly worked against the interest of APC at all levels during the 2019 general election, no right thinking Nigerian will take the directives of the leadership seriously. I will not also be surprised when a repeat of the 8th assembly comes to the fore,” Duhu added. “That we are Senators, we are members of APC first before we became Senators. The party gave us a platform to contest elections; the party has its manifesto and its agenda. The agenda is the Next Level; it is an agenda that we took across the nooks and crannies of this country, headed by Mr President and we all subscribed to that agenda. Now, we are trying to ensure that Mr President succeeds, that the agenda we all subscribed to which was approved by the majority of Nigerians succeeds and it is not out of place for the party to sit down with its elected Senators and consult among ourselves and come up with the names of people we should support for the leadership,” a contestant for the office of the deputy Senate president, Ovie Omo-Agege said. “Because Mr President has said so and because the leadership of the party has said so I will abide by it and support Ahmed Lawan to become Senate president and likewise, I expect all the 65 APC Senators in the interest of party supremacy to also go with that position,” the senator-elect said. Reacting to comments made by the outgoing Senate President that the 9th Assembly lawmakers should go for quality and reject imposition, Omo-Agege said it was not Saraki’s business, adding that they are not kids in the Red Chamber. “He (Saraki) is entitled to his opinions. I have always maintained that Saraki is one Senator and that we made him Senate president does not mean we made him king. He is just first among equals. He has one vote the way we do. So, if he said so, these are his views. Everyone has the right to say what he wants to say and one thing I must make clear is that we are not kids here in the Senate. “The Senate is made up of statesmen. These are people who have left their mark in various endeavours before they came here. Nobody is here as anybody’s boy. When you say competence, there is presumption that if you are elected a Senator you are competent to be Senate president; you are competent to hold any position. In this Senate, nobody is a better Senator than any other Senator. So, we are not in any way saying that leadership should be imposed on us from outside. I think that advice is very unsolicited and gratuitous. He can give that advice to members of his party. As for us elected on the platform of the APC, anybody can serve as Senate president or deputy Senate or president,” Omo-agege said. The Senator-elect said there are a lot of factors that will come into play in deciding who emerges senate president adding that equity, fairness, and geographical spread will be the factor. “If the party believes that the position of Senate president or deputy Senate president should be zoned to a particular geopolitical zone, I don’t think we require the advice of Saraki to tell everybody to get into that race just to sabotage the zoning arrangement. “We have to ensure that we are all co-equals in this Senate and in spite of whoever we elect as Senate president or deputy senate president, everybody will be carried along. Nobody is going to be anybody’s boy. Our interest will be protected, but more importantly, we have an obligation to the Nigeria electorate. “If Nigeria people wanted, they would have given the National Assembly to the opposition party but they chose, having listened to the Next Level agenda presented to them. So, they are looking forward to us working together to deliver on the promises as articulated in the Next Level agenda within the next four years. That is not to say there will not be opposition. Of course, the Nigeria people already decided who the opposition should be and that opposition they decided on is the PDP. We are not members of PDP. “The Nigerian people said, ‘You are the governing party; you go and govern with the executive while PDP is there to provide the opposition – constructive opposition’. The Nigerian electorate is not looking up to APC to provide opposition to the President Buhari administration; they want us to work with our president, not to provide opposition to him. The opposition they expect to the extent there will be any, will come from PDP,” Omo-agege added.